The Pentagon is seeking vendors that can supply Saudi Arabia with moored blimps, fifteen months after the U.S. State Department approved a possible $525 million Foreign Military Sale to the country. 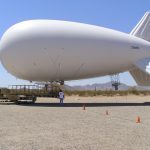 The selected contractor will produce, operate, train, sustain, and deliver ten tethered “aerostat” systems, according to the April 16 announcement. The vendor will also be responsible for training some 300 Saudi military personnel. A tethered aerostat system that provides warfighters with an effective round-the-clock intelligence, surveillance and reconnaissance capability is demonstrated at Pennsylvania’s Tobyhanna Army Depot. 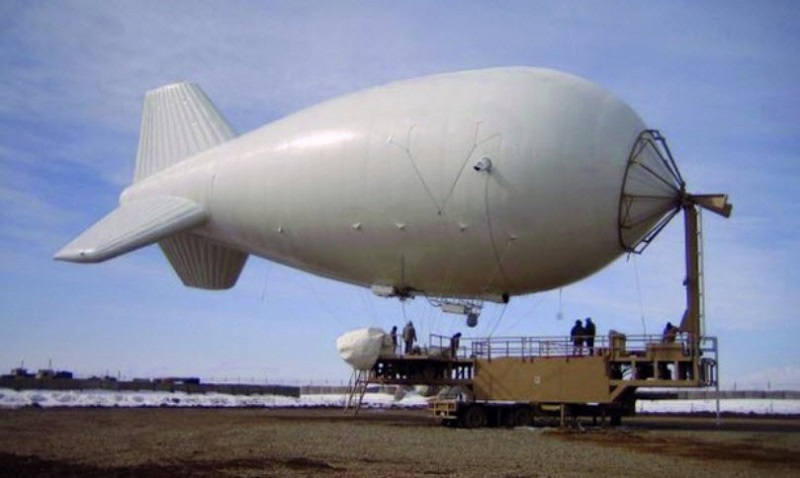 The aerostats the Pentagon wants must be equipped with a “variety of sensors to fulfill force protection, communication, and surveillance missions,” according to the announcement. They can be up to 131 feet long and need to be able to carry as much as 1,100 pounds of gear. They also must be able to stay aloft for at least 30 days at a time. Acoustic sensors capable of detecting small arms fire and mortar and rocket launches up to 30 kilometers (18.6 miles) away. The requirements also include a communications relay operating on Very High and Ultra High frequencies, a wireless full-motion video data link capable of transmission up to 40 miles away, helium trailers, a mobile mooring station, and a ground-control station with room for three or four personnel. Companies that could be interested include: Lockheed Martin Corp., which makes the three different aerostats, including one used by the Department of Homeland Security; Raytheon Corp., which makes JLENS Joint Land Attack Cruise Missile Defense Elevated Netted Sensor system; and TCOM LP, which makes several different lighter-than-air systems, including one used by DHS. Lockheed alone has delivered 8,000 aerostats for military and commercial uses over 80 years, according to the company. A request for proposals will follow in May or June, according to the announcement. 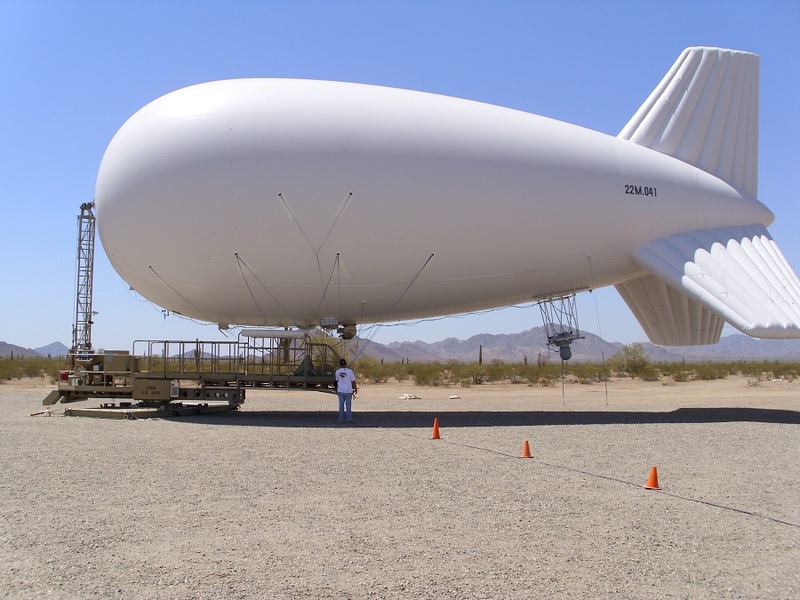 This entry was posted in Aerostats, Airships, Blimps and tagged aerostat, blimp, JLENS, Lockheed Martin, raytheon, surveillance blimp, TCOMM LP, Tethered blimp. Bookmark the permalink.